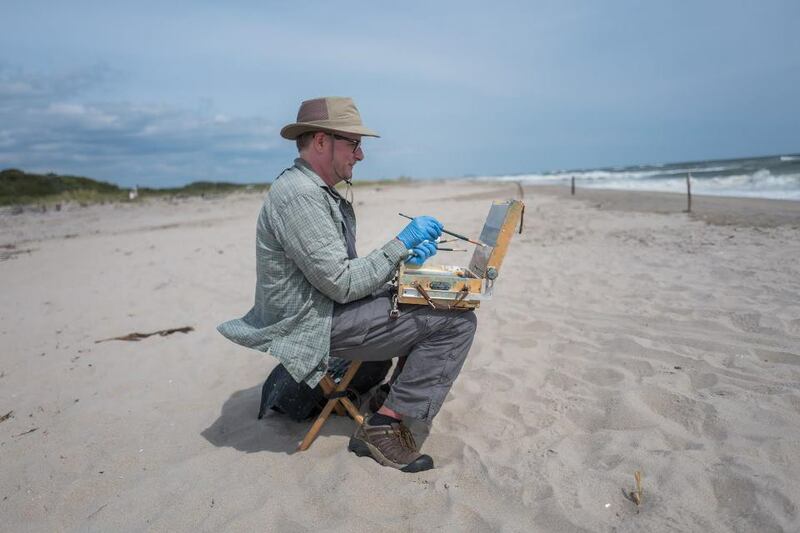 Pratt in Venice professor of painting, Chris Wright, held a solo show of recent work at the Jamaica Bay Wildlife Refuge in the Gateway National Recreation Area of the National Park Service. Fort Tilden: Paintings by Chris Wright was open from April through June, 2018. An opening reception was held April 7, 2018. The exhibition featured Wright’s en plein air works, made outdoors. 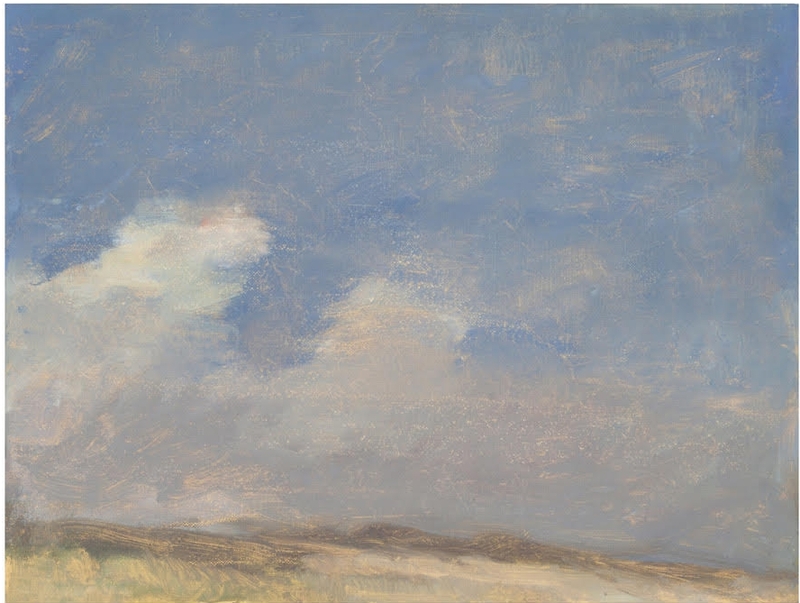 The exhibition includes luminous, atmospheric land- and seascapes made at Fort Tilden, as well as cloud studies made over the past several years, including some in Italy. Originally from the west coast, Wright received his MFA from Pratt Institute and has taught Fine Arts at Pratt since 1999. His work has been included in many publications, including New American Paintings and American Art Collector. In 2015, he was a Fellow in Painting at the New York Foundation for the Arts, and has previously held one person shows at George Billis Gallery in New York City and Los Angeles, and the Martin Art Gallery, Muhlenberg College, Allentown, PA. His work has been included in exhibitions at the Affordable Art Fair, New York; the Main Art Gallery, Cal State Fullerton, and the Hampden Gallery, UMass Amherst. Wright's works on paper are included in the Pierogi Flat Files, New York. He has taught Painting for Pratt in Venice six years, from 2010–2014 and in 2016. Chris Wright, September 17, 2017, from the Fort Tilden series, oil on linen, 9 x 12 in. Courtesy of the artist. Newer PostMonique Rollins, Alumna of PIV, visits Venice in July!